While the entire Philippines is celebrating today the 25th year of Philippine Freedom brought by EDSA People Power in 1986, the teachers of Cubay Elementary School are conducting a survey and at the same time enlisting the 5-year old pupils in the neighboring haciendas of Brgy. Cubay, La Carlota City as a part of the "move to have all 5-year olds avail [of] "kinder education" this summer. Thirty-four kid are enlisted from Hda. Camille, Hda. Gintiguian and Hda. Cabitucan (diutay). Thus, making the total enrolment of 84 5-year-old children for summer classes. The teachers got started their day's of work by assembling along the highway leading to their school early in the morning. Then they headed to Hacienda Camille. While they're in their target place of survey, they grouped themselves into three. Mrs. Melanie Reyes, Ms.Gemma Salazar and Ms. Vivian May Doloso were with their principal, Mr. Gil Camporazo. While Herlene Bravo and companions were in another group. And the third group was with Ms. Ofelia Ayungon. After Hda. Camille, they proceeded to Hda. Gintiguian, and Hda. Cabitucan Diutay. They were able to enlist an additional of 34 kids to an existing list of 51. 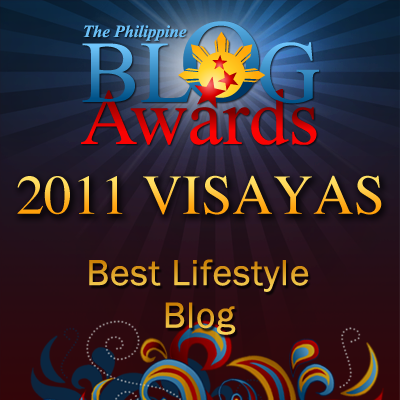 So 84 5-year-old pupils will undergo a summer class this school year 2011-2012. That would require an additional of two teachers to an existing one preschool teacher. It was a wholesome and enjoyable experience for the teachers. 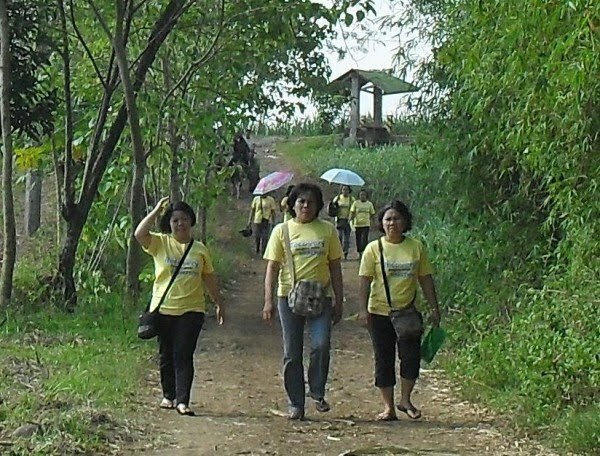 They enjoyed treading a "banas" (footwalk mark) along the grassy field of sugarcane. They bore the scorching heat of the sun. And they loved eating kamoteng kahoy (local root crop)prepared and cooked by one of the Trinia family in Hda. Gintiguian. They had to cross a brook by a taking an improvised bamboo bridge. They had to brave the numerous barking dogs outside the houses of their prospective clienteles. And they had to press themselves to a tryke which transported them from one hacienda to another while passing the highway. Others had to back ride with the two motorbikes of their fellow teachers. "I'm very proud of my teachers for they love their work. They are always together in finding their would-be pupils. They're united. They're cooperative," said Mr. Camporazo, CES principal. His teachers are Miss Jossie Necesito, preschool; Mrs. Nona Palanog and Mrs. Lelanie Suyo, grade one; Mrs. Louelyn Atilano and Ms. Vivian May Doloso, grade two; Mrs. Herlene Bravo and Mr. Mario Malacaman, grade three; Mrs. Mary Ella May Amar and Ms. Jema Bajala, grade five; Ms. Gemma Salazar, grade six, and Mrs. Ofelia Ayungon, special subject teacher. "Thanks for a job well done, teacher!" said the proud school principal. A great job indeed for the teachers, it's nice to know that we still have a lot of dedicated teachers that really are proud in what they do. More Power to all the Teachers..
Wow this is great! Kudos to All the teachers! And more power and Goodluck to all your projects! This is one way of reminding the kids of how the EDSA 1 changed the Philippines. NICE! I strongly believe that teachers should be given with utmost respect. this is so nice, teachers reaching out on their students.. I hope mangyari din ito sa ibang lugar sa Pilipinas. We need to strengthen the educational system in the Philippines.. I salute teachers! We're forever indebted to them. Wow! Teacher I think is the best profession ever! I salute every teacher who works had for the best for our country. This is one of the many reasons why teachers are living heroes, :)) Kudos to them! I'm always amazed to read about your post when it comes to relation to your job. Galing! You guys are really the heroes ... teachers and principals who don't tire of teaching. my mom is a teacher too then, and a principal now..i've been very proud to every teachers' doings because of the sacrifices they extend..
am very proud of you sir!! and to all teachers!!! Teaching is one of the most noble professions in the world. And there are a lot of noble people in this profession. You are one of them, Sir Gil.